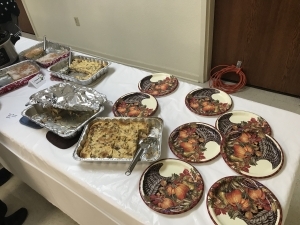 “Celebrate Seniors” group at Village Baptist Church celebrated an early Thanksgiving on November 7th, 10:30 to noon. Our seniors were treated to a lovely brunch and the smiles of our Fellowship Team and our Ladies’ Ministry Team! 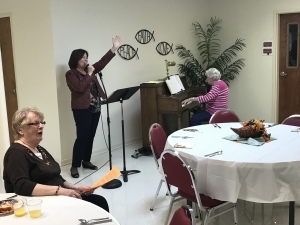 Our Music Minister, Shelia Pridemore, along with Martha Sheets on piano, set the stage for us to praise the Lord with our favorite Thanksgiving hymns. 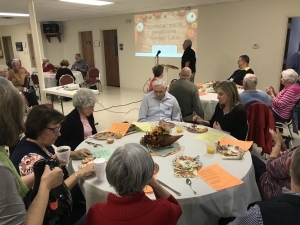 Following the brunch and music, we were honored with a great Thanksgiving message, “Thankfulness is Attractive”, by Dr. Ken Ubbens. Thank you Dr. Ubbens for an inspiring, thoughtful message. We are thankful to all who helped plan and carry out this event, and for all of you who participated! We pray that this special beginning to the season of Thanksgiving will continue throughout our holiday season and into the next year! 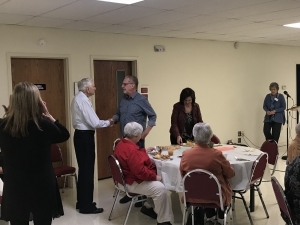 We also had the privilege to honor Betty and Turk Davis and Glynn Freeman, three of our long time members, as they prepare to leave the Bella Vista area soon. Attendees were given the opportunity to write a brief farewell note to our honored guests. We enjoyed a bit of reminiscing and Glynn shared a special song with us. We send them away with hugs, blessings and prayers. 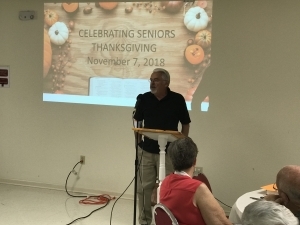 “Celebrate Seniors” will not meet in December and January due to other church events and the possibility of very cold and inclement weather. 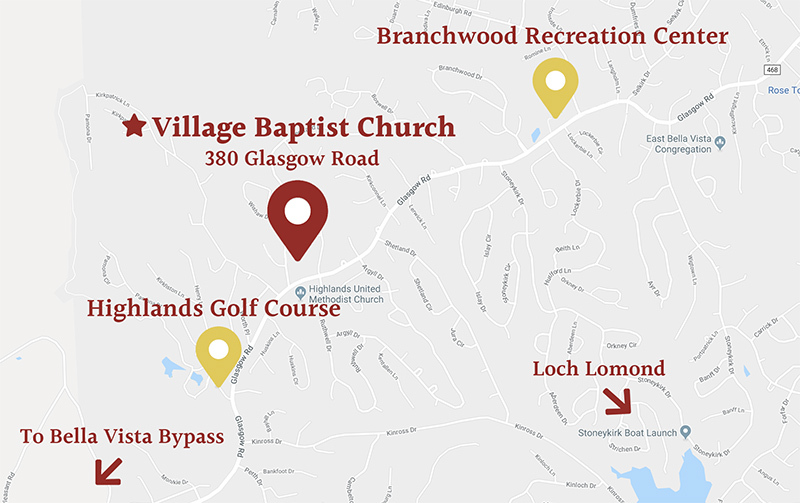 We look forward to starting up with another great year in February!